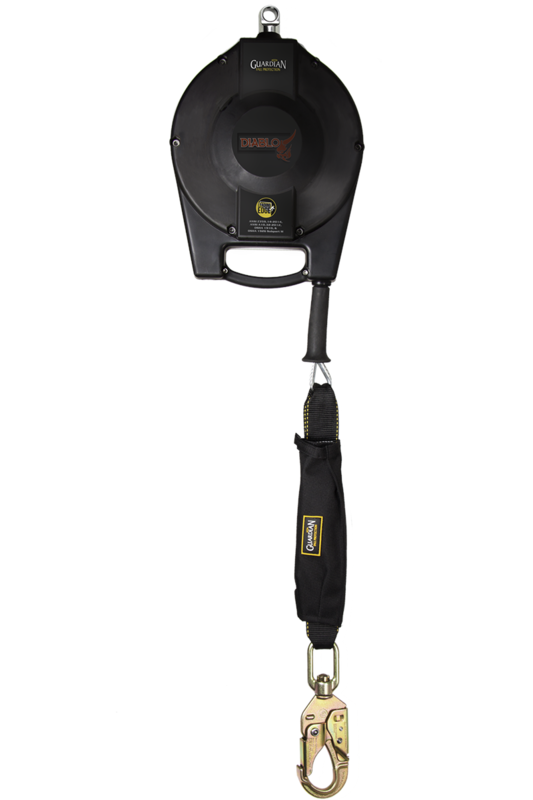 The Guardian Fall Protection Diablo Big Block Cable SRL, formerly the Daytona Big Block SRL, is available in both 50' and 65' models, as well as with a variety of connector options. Rated for use in Leading Edge (LE) applications, the entire Diablo Big Block is built with quality and care, from its special coated and heat treated brake pawl bolts, to its lightweight and heavy duty housing. From functionality, to durability, to affordability, the Diablo Big Block is truly one of the highest-quality SRLs on the market.